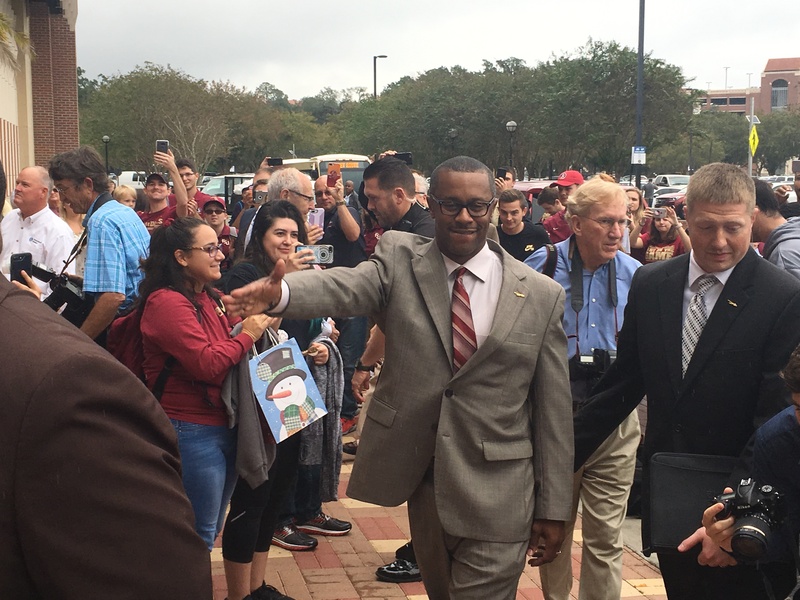 National Signing Day usually isn’t the day where members of future classes commit, but that was the case for Florida State on Wednesday. FSU got the pledge of Lehigh Acres linebacker and 2021 prospect Dequaveon Fuller. Fuller is the younger brother of 2019 defensive end and 4-star prospect Quashon Fuller. The older Fuller officially signed with the Seminoles on Wednesday amid speculation that he may flip to Alabama. The younger Fuller is listed at 5-foot-11 and 210 pounds. Dequaveon Fuller is not yet ranked by the 247Sports Composite. He is the first commitment of FSU’s 2021 class.